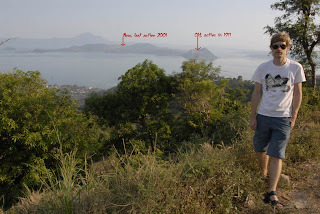 It's located on an island inside a lake, the lake itself it a huge collapsed crater itself and the city here, Tagaytay, is mainly located around the rim of it. It has been featured on the TV show "Ripley: Believe it or not". On the way down to the lake. 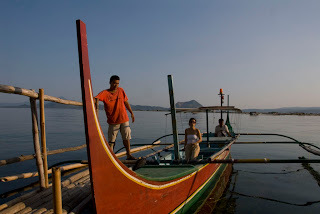 Riding a Banka boat out to Taal volcano island. 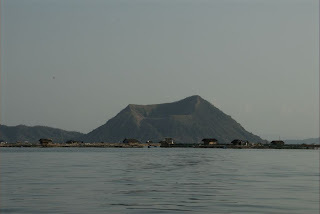 On the way we pass a lot of fish farms, here with the dormant volcano in the background. Horses were offered to us for rent of course, a ridiculous price of Php 750,- per person/horse. 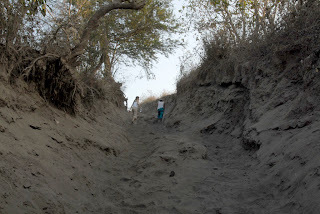 Volcano dust was definitely easy too find, here walking up a steep pathway with our feet swimming in dust. Here you see steam coming up from the ground. 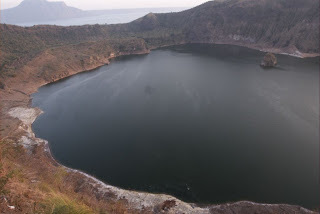 At the top, looking down at the lake inside Taal crater. 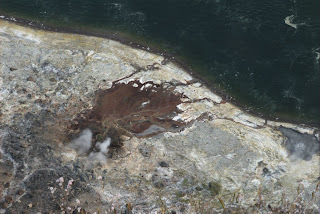 Steam coming up from the ground at the shore of the crater lake. The white stuff seems to be salts. Bubbles comes up from the water as well. 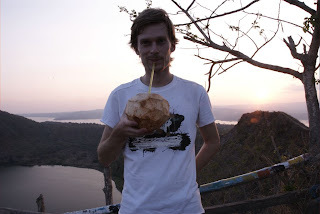 We enjoyed a fresh buko (coconut) juice and its meat while the sun was setting. Nice! 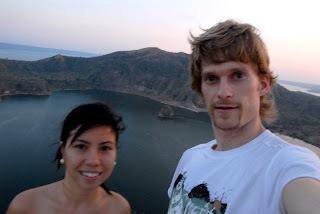 Tip: Don't be in a hurry when you are going here, that way you can find transport that is not so costly, we were "robbed" for Php 1500,- in order to get a boat ride + tricycle ride to and from the main road. 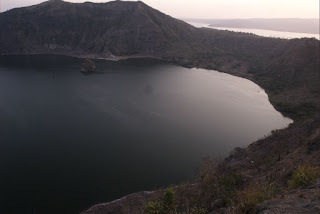 Here is a link to another site having more pictures and facts about the place. I'm half way to 60!